This pastry brush bristles are made of boar hair for resistance to temperatures up to 500 degrees F and are water resistant, very durable and are also highly capable of retaining the fluid in them. This pastry brush has medium size which can be used for conveniently the brush in places where it can be immediately reached whenever necessary. Bristle Material: Boar Hair. Handle Material: Wood. The items should be hand washed and dried thoroughly. This Boar Bristle Pastry Brush will be an ideal choice for coating fluffy fresh baked pastries with butter, egg wash, or water in an evenly manner without any disruptions. Looking for ideal Boar Hair Bristles Grill Brush Manufacturer & supplier ? We have a wide selection at great prices to help you get creative. 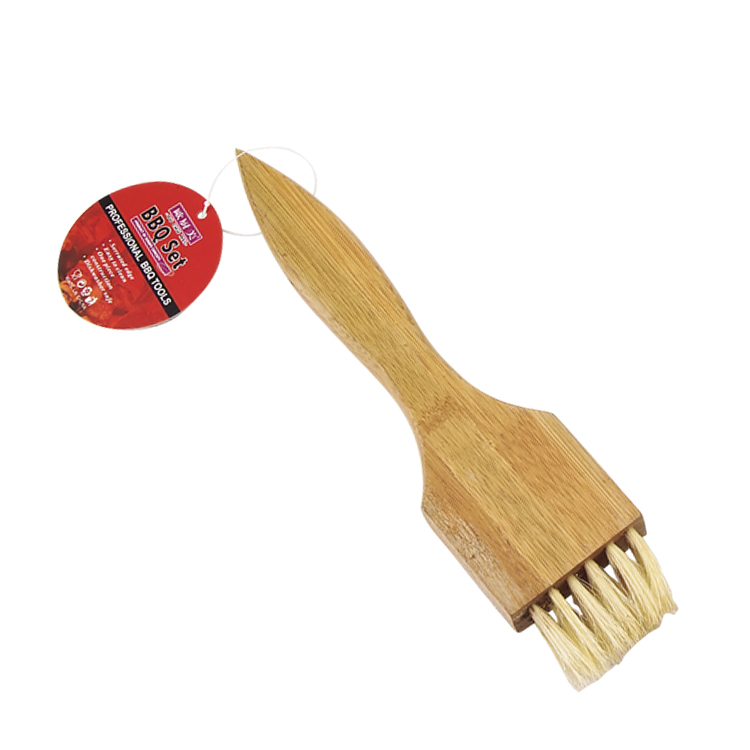 All the Boar Bristles Basting Brush are quality guaranteed. We are China Origin Factory of Bbq Basting Brush. If you have any question, please feel free to contact us.